In the 1980’s Dr David Caldwell conducted excavations at the fort, with his knowledge and archaeological evidence, along with historical research undertaken in the School of History we have created a virtual representation of how we believe the fort may have looked in 1557. The local community have been proactive in promoting the significance of this historical fort and local landmark, with much ongoing work being carried out by Friends of the Fort. A short fly-though of our 3D reconstruction, showing the location and scale of the Fort at Eyemouth as we believe it would have looked in 1557. The Eyemouth model recreates the English and French fortifications above the town. Constructed during the ‘Rough Wooing’ in the sixteenth century Eyemouth Fort played a pivotal role in the relationship between Scotland, England and France. All that remain today are the enormous earthworks, and it can be difficult to understand the remains without seeing them from the air. 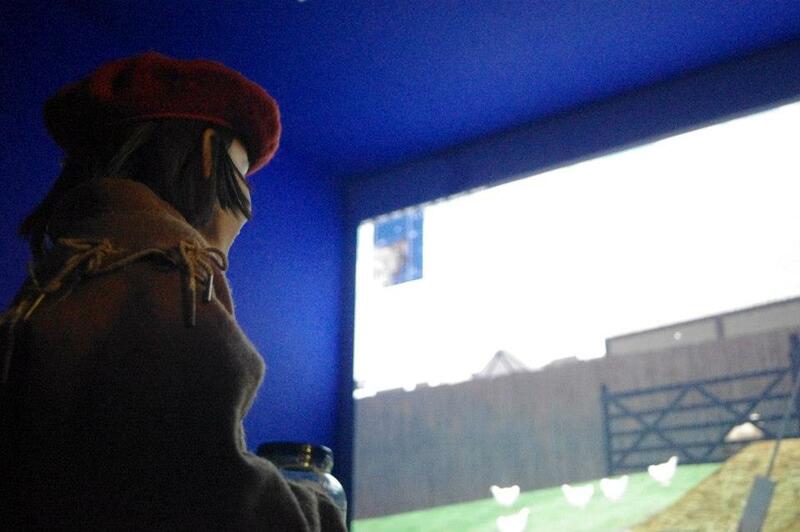 This interactive museum exhibit was launched in Eyemouth Museum on 21st June 2014, whereby visitors to the museum are able to watch a guided tour of the reconstruction and ‘play’ the fort via an Xbox controller, walking around the fort and touching on interactive points, gaining access to further information on the history of the fort. You can read more about community involvement and school visits connected to this project on the SCHARP Blog.